Carpet offers a sense of warmth and comfort that no other flooring option can. However, if your flooring has suffered some type or wear, tear, or damage, it can be difficult to know whether it can be cleaned or repaired, or if it should be replaced. To help homeowners and business owners gauge whether or not it’s time for carpet replacement, in today’s blog, we’ve outlined a few conditions that will warrant installing new carpet in your home or office. At Mountain Valley Floors in Loveland, we have more than 25 years of experience in the flooring industry. If you’re considering replacing your carpet, we would love to help you! Call 970-372-4019 today to schedule your free consultation! 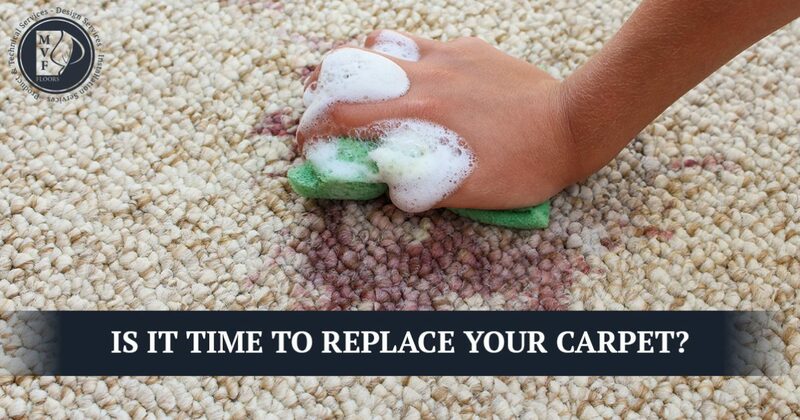 If you have carpet in your home or office, you may be debating on whether it is time to replace it or give it another cleaning. Below, we have listed a few reasons why carpet replacement may make more sense. Flooring gets put through a lot, and the flooring in your home may have been subjected to everything from spills to pet accidents. Around the office, foot traffic and spilled coffee can also do a number on carpet. When addressed immediately and cleaned up promptly, stains and odors can sometimes be prevented, however, there are some substances like bleach, grease, acid, and urine that can damage carpet beyond repair. If your carpet has accumulated stubborn stains throughout the year or there are odors associated with the stains, it may be time to replace. If your carpet has been exposed to excessive humidity or water, it may be beneficial to replace it with new carpet. Whether it comes from a pipe suddenly bursting or groundwater coming in through a wall or window, exposure to a lot of water can be incredibly damaging to carpet, its backing, and the pad beneath. Carpet that is damaged by water may become delaminated, or separated from the back of the carpet, causing buckling or wrinkling. Additionally, the chance of bacterial growth and musty smells is high if the carpet is not dried properly. In our prior blog, we reviewed how carpet is exceptional at immobilizing and trapping allergens such as dirt, dust, and pollen. Normally, these particulates can be removed with a deep and thorough cleaning, such as steam cleaning. However, if you have been unable to clean the carpets in your home or office properly or frequently over the years, these particulates can add up and cause allergies, asthma, and other breathing concerns. For some homeowners and business owners, increased allergy symptoms are a sign that carpet replacement could be beneficial. 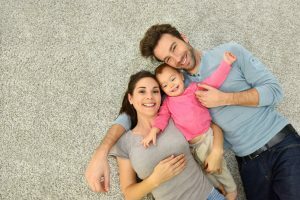 If your carpet is showing signs of any of these conditions, it’s probably best to speak with a reputable carpet installer in your area. Many people feel overwhelmed and intimidated when it comes time to choose new flooring for their home or office, but with Mountain Valley Floors, you have a reliable expert in your corner. If you’d like to discuss your carpet replacement options further, we would love to speak with you. We partner with several of the industry’s leading flooring vendors and our installers and professionally trained so that we can provide you with the best possible service. Contact us at 970-372-4019 today to get started!